This illuminating book, intended for individuals or groups, contains three sets of six lessons designed to enrich and enlarge your understanding of God. It is a useful tool for becoming personally acquainted with the Father, Son and Holy Spirit. 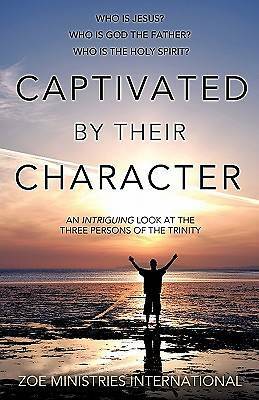 After completing this book, you will be more than just intrigued; you will be captivated by their character How can you really know God? Although elements of mystery surround the Trinity, you can learn much about the roles and personality of the God revealed in the Bible.Who Is Jesus?What would it have been like 2,000 years ago to walk beside the man called the Son of God and hear him speaking words of eternal truth?Who Is God the Father?Does your perception of God the Father reflect who he says he is, or are you limited by your preconceived ideas? What would it be like to be the beloved adopted child of the Father?Who Is the Holy Spirit?Is the Spirit merely a force or an idea, or is he a person possessing both intellectual and emotional attributes? Why did Jesus refer to the Holy Spirit as the gift He wanted to give to you? See how Jesus related to people from every background. Discover acceptance from the Father. Become empowered to live a life pleasing to God. Gain confidence to introduce others to God.ZOE Ministries International (www.zoeministries.org) offers discipleship training courses that equip believers to hear, know and follow God's voice. This ministry enables people to grow in their love for the Lord and to impart God's life (zoe) to others. ZOE encourages believers to use their gifts and talents in the power of the Holy Spirit, to build the body of Christ for His glory.